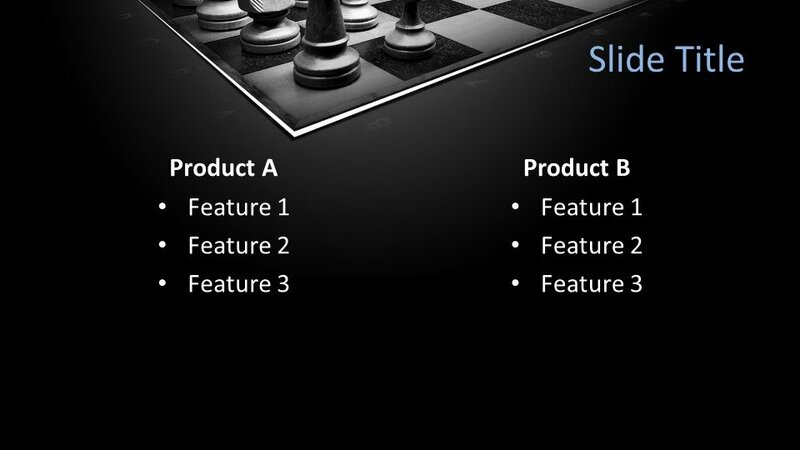 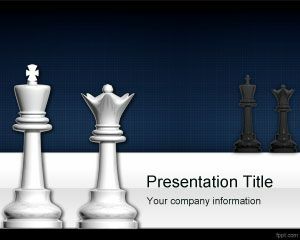 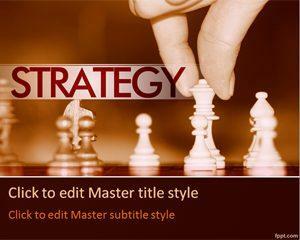 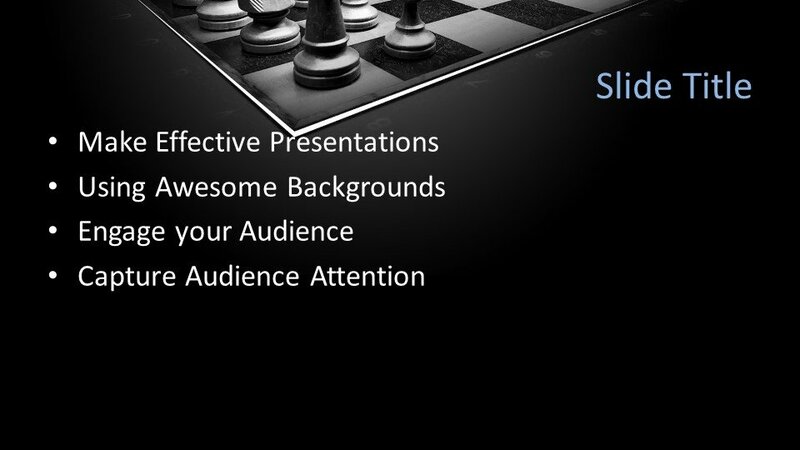 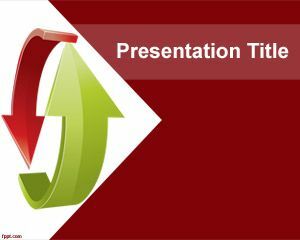 Free Chess PowerPoint Template is an awesome slide design with a chess board and chess pieces that you can download to make presentations on business strategy but also to prepare awesome presentations on chess strategies. 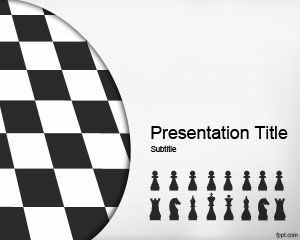 The chess template for PowerPoint contains black and white chess pieces with pawns, the queen, the king, horse, and towers and the background effect is dark. 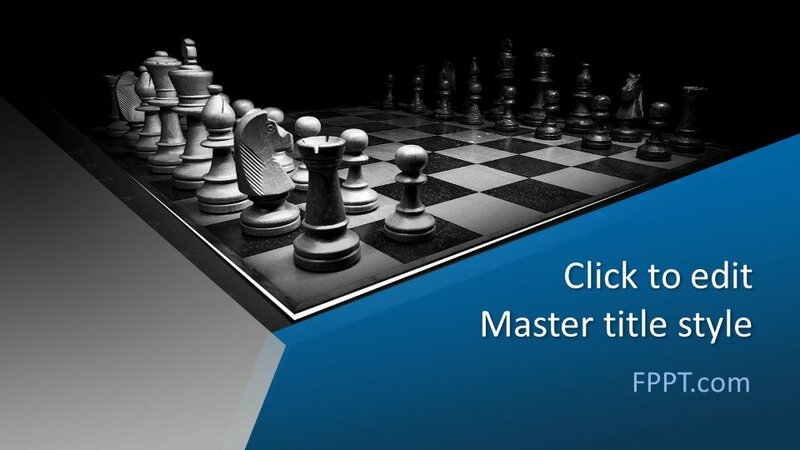 Alternatively, you can download other free chess PowerPoint templates and backgrounds with awesome slide designs like this strategy chess template. 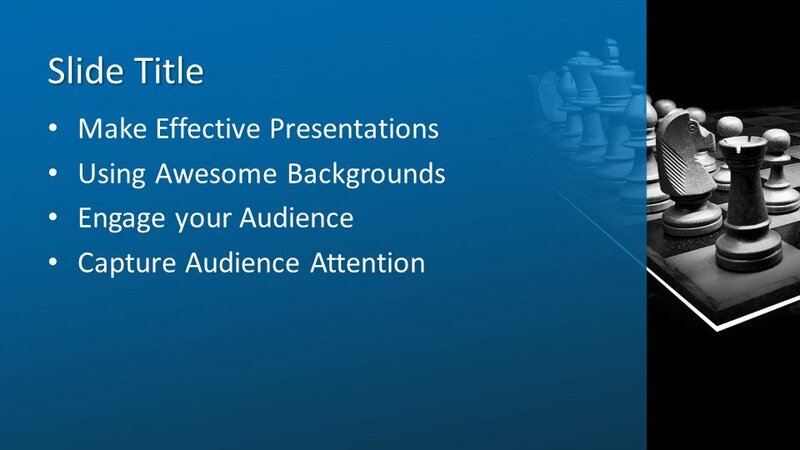 The chess template for PowerPoint is ideal for presentations on chess competition, tournaments as well as intellectual games and decision-making presentations. 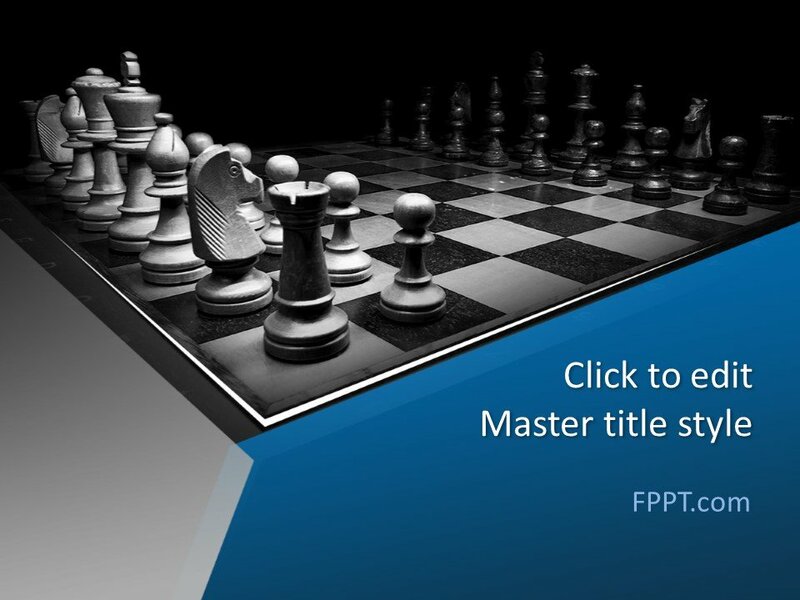 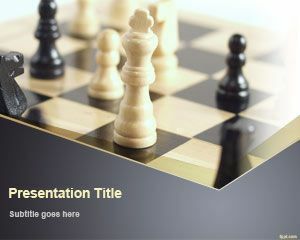 You can download free chess PowerPoint background and template to prepare awesome presentations on achievement and goals. 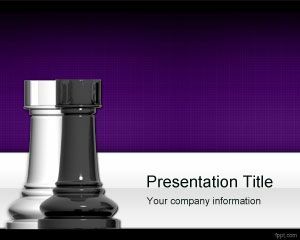 The theme is made compatible with all latest versions of MS PowerPoint and easy to customize as per users need.